Pumpkin Time is here! Enjoy exploring pumpkins, learning about the pumpkin life cycle, and all things pumpkins with your students. 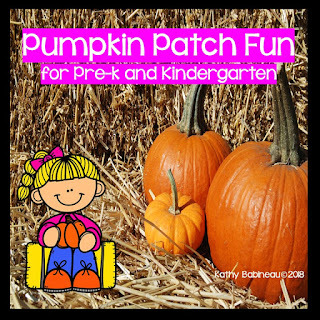 Great activities to introduce pumpkin themed vocabulary, center activities, read-alouds and take home books, songs, suggested books and activities and more. 3 colorful pages of pumpkin themed songs (“5 Little Pumpkins”, “Have You Ever Seen A Pumpkin”, “I'm A Little Pumpkin”). B/w copies of these pages are also included to copy and send home with students for sharing with families and carryover at home.